If you have been reading my earlier blog entries, you know that I have said that a motor coach will improve your life, if you let it. I said it will improve your life in many ways. Your coach can take you to places you might not think to go to if you traveled like most “normal” people, carrying your bags and staying in hotels. It can also help you to make friends. Recently for Diane and I, our coach has done both. I made an appointment with Dan Snyder from Ford to come over and review what was new in the Ford display and I arrived shortly after 9:00am. Dan and I spoke about the features of the new F-Series Super Duty and I would like to share those with you now if I may. 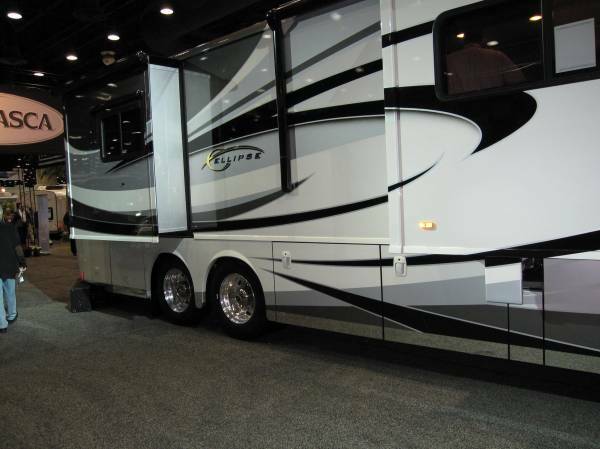 The Winnebago Industries exhibit this year did not disappoint me one bit as new models and floor plans abounded and I was pleasantly surprised by some of the new technologies that Winnebago presented for 2010. There were too many rigs for me to review them all however I would like to focus attention on one particular model the Ellipse Model 42AD. First Blog. Not sure where this will go or how it will turn out, but there's only one way to find out. Jump in and see if you can swim! Bosch 51101-C Brake Caliper Recall - Done ! I found out through the grapevine that my service center was about to receive a number of the new Bosch Brake Calipers, so I called them and made an appointment. Wanting to clear the campaign early, Larry gave me the first available spot he had for Wednesday morning at 08:00. The Tiffin Motorhomes Inc. display at the 48th Annual RV Trade Show - Louisville, KY.
Monaco asks, "Hello ribbon of highway. Where To Next?" The "NEW" 2011 Trip is seen to the right in red. The Newmar entry warmly greets show attendeees during this Holiday Season. I went to visit the Winnebago Industries exhibit early on day 2 expecting to spend some quality time with the people that in my opinion that make the motorhome industry what it is today and I was not disappointed. 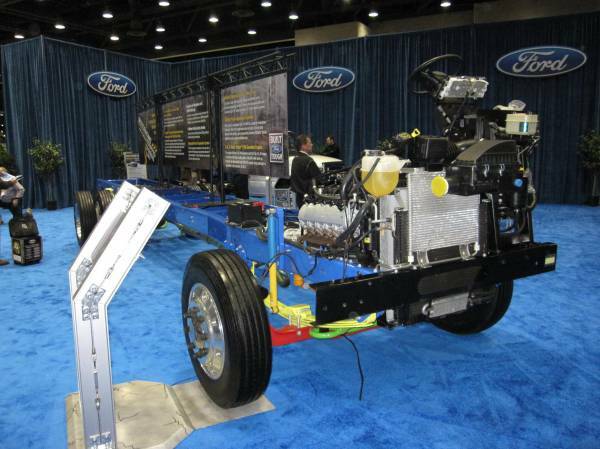 Winnebago setup a phenomenal display as it welcomed RV Industry leaders. For approximately 5 years I have been using a Model 12112 BatteryMINDer. This model put out a maximum current of 1 Amp with a charge voltage of 14.7 VDC and a float charge voltage of 13.4 VDC. A little history as to how I got my first BatteryMINDer might be appropriate since I still get a chuckle out of it. I wrote this piece in 2009 however I wanted to place a copy here since it's falling deep in the threads in it's original location. I hope it'll provide some value to you if you own a 2001 to 2004 Workhorse with an Allison transmission.